Application: Torx socket screws with and without pin (BO = bore hole). Tip: Torx on short arm, Torx ball end on long arm. The 05024208001 Wera 967 PKL Torx BlackLaser L-Key is one of thousands of quality tooling products available from MRO Tools. Please browse Wera L-Keys For Torx Screws for tools similar to the 05024208001 Wera 967 PKL Torx BlackLaser L-Key. 05024208001 Wera 967 PKL Torx BlackLaser L-Key description summary: Wera 967 PKL Torx BlackLaser L-Key. 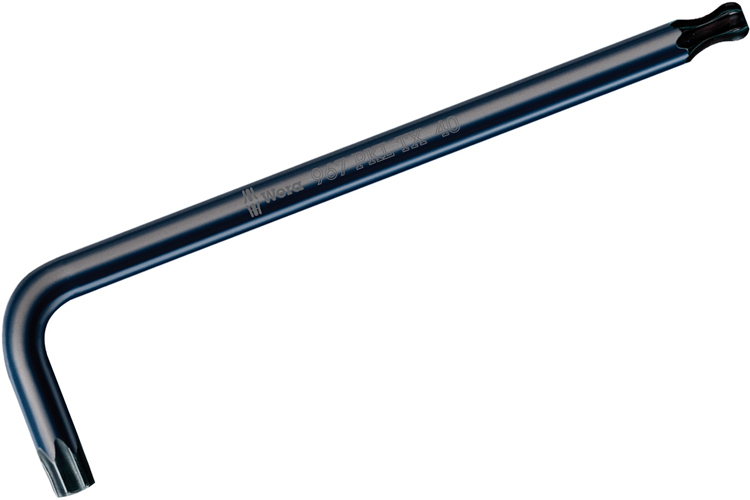 Point Size: TX30 Shank Overall Length: 122mm / 4 13/16'' L' Overall Length: 24mm / 1'' Quantity discounts may be available for the 05024208001 Wera 967 PKL Torx BlackLaser L-Key. Please contact MRO Tools for details.